With bright sunshine and ocean breezes, Florida’s First Coast is a dream for golf enthusiasts. Northeast Florida is home to more than 50 golf courses, many of which are part of residential communities. With more than 900 holes of golf offering challenges for players of all skill levels, residents of Northeast Florida’s golf course communities enjoy easy access to the sport, club amenities and plenty of activities. While every community is different, they all offer a wide variety of home designs and styles from which to choose and numerous amenities including clubhouses, restaurants, swimming pools, tennis, stunning views and more. 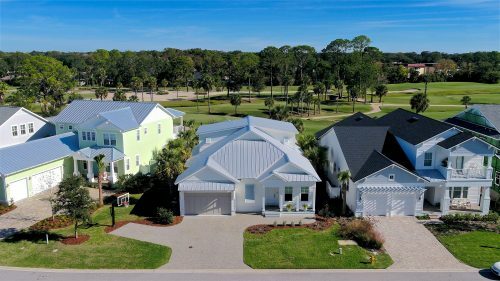 To find out more about the homes pictured on this post and other listings, visit the Berkshire Hathaway HomeServices Florida Network Realty blog.